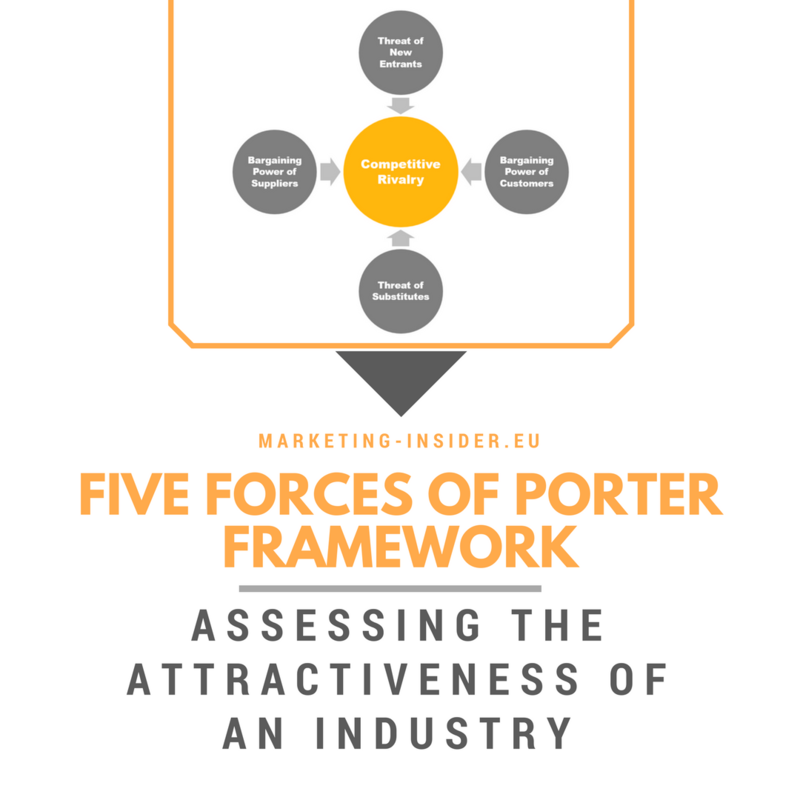 The Five Forces of Porter framework is a rather useful tool to determine the attractiveness of an industry. Named after Michael E. Porter, the Five Forces of Porter framework dictates that there are five forces that determine the overall competitive intensity and attractiveness of a market. It is particularly helpful in evaluating whether or not a company should enter a particular industry. For that reason, it is very popular and widely used, for instance to analyse the industry structure of a company or its corporate strategy.